Team Nigeria is already in Gold Coast, Australia with 90 athletes selected to defend the Green and White colours of the country at the 2018 Commonwealth Games. It is definitely not wrong to be optimistic on the chances of all the athletes selected to go all the way to do themselves proud and by extension the country. However, in toning down on one’s expectation, one can pick a few who have a great chance of getting Gold for Nigeria. Bounce Sports makes a random selection of 7 Top Gold Medal Prospects For Nigeria at the 2018 Commonwealth Games. For many, the question on their lips is not whether Kehinde will win Gold or not but whether the Lagos-based lifter will set new records in Gold Coast, Australia. Kehinde competed in the men's 72 kg event at the 2014 Commonwealth Games where he won a gold medal and nothing less will be good enough at the 2018 edition. At the IPC Powerlifting World Championships held in Mexico in 2017, Kehinde broke his own record of 220kg with a lift of 220.5kg. Kehinde went further to break his own world record of 220.5kg at the 2018 9th Fazza World Cup held in Dubai in February with a lift of 221kg. Let’s see if another record is on the cards. Ejike is another world record holder in the Team Nigeria Powerlifting squad and she should be able to help preserve Nigeria’s dominace in this sport. 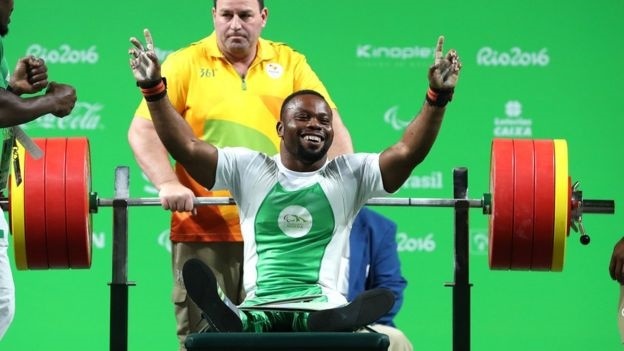 Nigeria has won all eight Commonwealth Games gold medals contested in para powerlifting since the sport was introduced at Delhi 2010. A good number is expected in Gold Coast if not all. Not much was heard from her in the initial build-up to the Commonwealth Games but in two weeks or thereabout, all that has changed as Okagbare has shown she still has fire in her. For now, it looks like the sole target for Okagbare in Gold Coast is to inspire the relay team to win GOLD in the women’s 4x100m relay. There’s no doubt that a fresh and well-rested Okagbare could be the tonic needed for Nigeria to claim GOLD in this particular event in a few days’ time. Just three years ago, Amusan was struggling for a breakthrough like every other home based athlete. 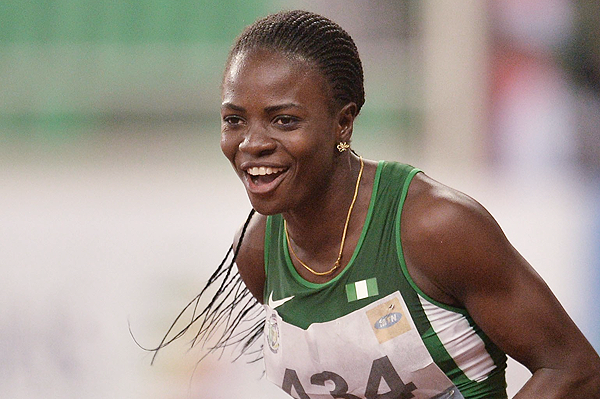 However, she has since become one of the athletes Nigeria hinges its medal hopes on going into a major championship. Such has been her meteoric rise! Having made it to the final of the World Indoor championships just recently and with her consistent good performances in the NCAA circuit, one can hope for gold from Amusan. Adekuoroye is in a class of her own as far as wrestling is concerned in Africa and beyond. The reigning Commonwealth champion could easily pass as Nigeria's poster girl and her achievements are formidable. Fresh from her conquest on home soil in the African championships held in Port Harcourt, Adekuoroye is one of the brightest gold medal prospects for Nigeria in Australia. This in another wrestler who looks ‘ripe’ for Gold at the Commonwealth Games. The eight-time African wrestling champion is unequivocal on her target at the 2018 Commonwealth Games. This is her third attempt and perhaps the last. In her debut at the 2010 Delhi Commonwealth Games, Oborududu settled for silver while she added a bronze medal to her haul in Glasgow, this time, the 29-year is hoping to complete the cycle with gold. It is not as easy as it seems but banking on a sports person like Quadri to do the unthinkable is permissible. 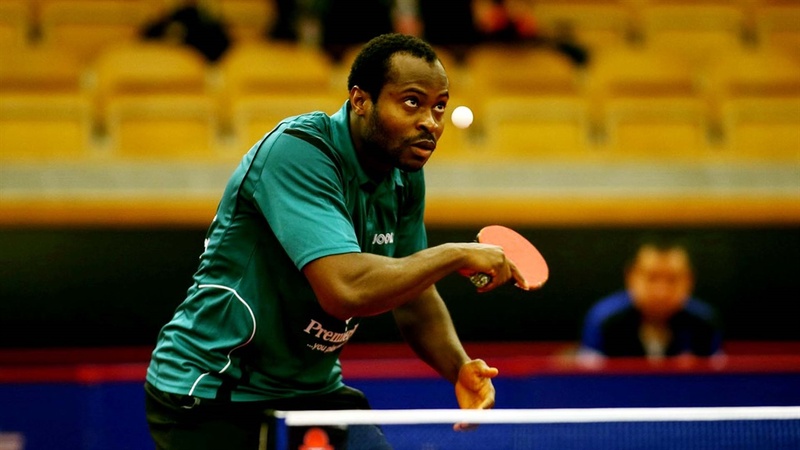 Having emerged as Africa’s best ever at the last Olympic Games in Rio, who says Quadri cannot go all the way in Australia to write his name in gold.